Browsing articles in "The Blog"
Fight this heat wave with a cold refreshing homemade smoothie! While outside is ablazed with sun and intense heat, enjoy some relief with these healthy and delicious recipes. 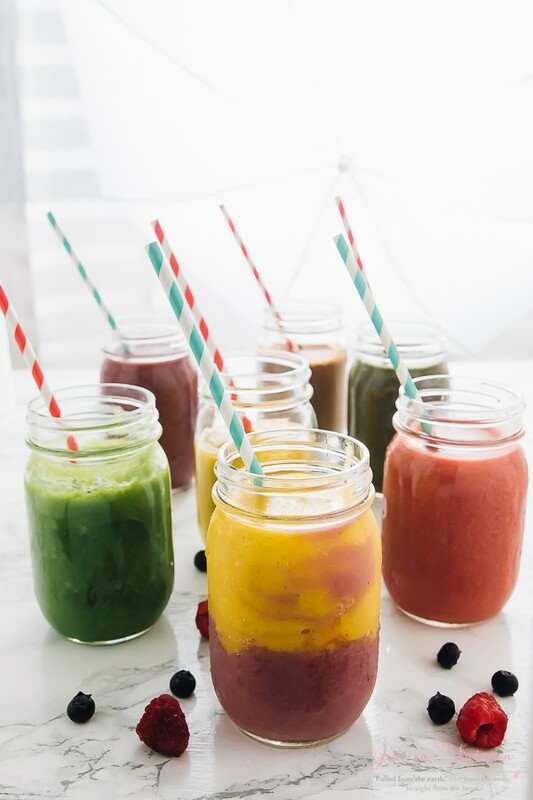 Read on for Smoothie Recipes and stay cool! Another June (Pride Month) has come (and nearly gone) in the district. At Yoga District, we are proud to celebrate the diversity of our community–including those who identify as LGBTQ+. Chad, a Yoga District teacher, has been offering weekly donation classes to benefit The American Civil Liberties Union (ACLU) — a champion advocacy organization for the LGBTQ+ community. Self Care: Why all the hype? Are you uncertain of what self care could look like in your life? 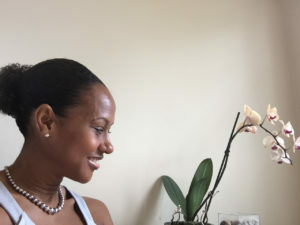 Patrice Ford Lyn, professional life coach, shares her insights into the meaning of self-care and how to sustain a personalized self-care practice. Salute the Sun! 108 Sun Salutations for the Summer Solstice, benefits World Central Kitchen- Chefs for Hawaii. Learn more about how World Central Kitchen, aids those in Hawaii affected by catastrophic volcanic activity. Also, how Kelsey’s donation class will honor the Summer Solstice. Meet Marissa one of our lovely teachers! She shares encouraging advice for those days when you are not feeling motivated to practice or you are too hard on yourself. She reminds to be caring to both body and mind. Feel feel to attend one of her classes and read on to learn more about Marissa. The opening of Community Fitness Studio highlights the power of yoga in bringing people together, creating a real sense of community, and of acceptance. 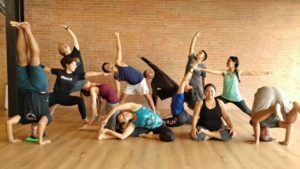 Richie Bernardo and Jonathan Donnelly, two graduates from Yoga District’s teacher training program, opened up a non-profit studio in the Philippines in December 2017. They modeled their studio, Community Fitness, after Yoga District. The opening of their studio brought yoga to the inner city of Manila. A place where most people had only heard of the term yoga but never practiced. Richie Bernardo shares about Community Fitness Studio and its connection to its community. It use to intimidate me. I thought Dharma Yoga was only for true yoga warriors. For yogis who could already bend themselves into pretzels, immediately rise up into a headstand then hold arm balance poses for minutes on end. After attending my first Dharma Flow class, I fell almost instantly in love with this liberating and fun yoga practice. My previous intimidation was replaced by a new sense of freedom and trust for graceful exploration. Read on as Emily, a Yoga District teacher, highlights the principles and practices of Dharma Yoga. 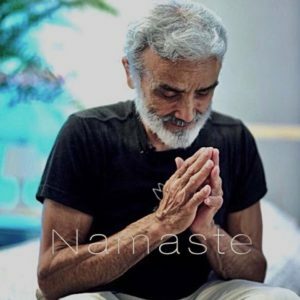 If you’re wondering about Dharma Yoga then don’t be afraid to try it. Feel free to attend one of our Dharma inspired classes (listed in post) and join us for the upcoming Dharma Day! You can attend all day or select specific classes. This month’s pose is Warrior I. You likely experience it several times during a Flow (Vinyasa) yoga class. Welcome to our Yoga Type series! Yoga is steeped in history and tradition. It began over 5,000 years ago. Several different types of yoga have emerged and each offer their own unique practice. Our newest series will explore various yoga practices. 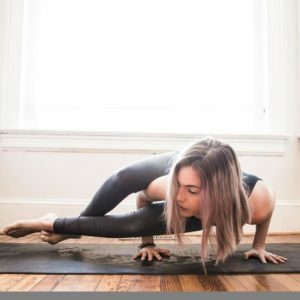 Jess, a Yoga District teacher, explores the ancient tradition of Ashtanga Yoga and how it does not need to be an intimidating practice. Sign up here for the the workshop. 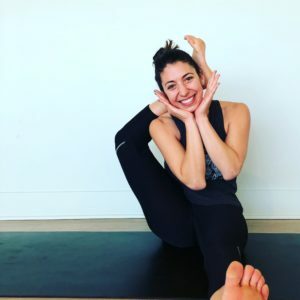 Yoga District Community – Meet Kat, our Director of Services! 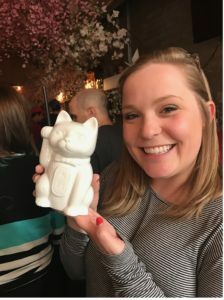 Meet Kat, our Director of Services as she shares her yoga journey and her experience being part of the Yoga District community!